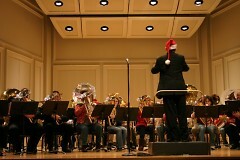 The fee for participating in Tuba Christmas GR is $5, which includes a souvenir badge and lunch. No prior registration is needed. Karen is willing to lend two baritone horns with mouthpieces and mouthpieces for all other instruments. Those who are interested should contact her before Sunday. To see more of Tuba Christmas GR, visit Karen's website, where she has collected images and videos from the last several TCs. She also has a list of tips for those thinking about participating. Karen Dunnam plays the euphonium, and she is proud of it. When she moved to town six years ago, she came with a plan. Having already organized one in Detroit, Karen was determined to bring Tuba Christmas to Grand Rapids. TC is what it sounds like: a medley from the low brass section playing Christmas music. A ragtag ensemble that has never rehearsed together puts in an hour of practice before performing a holiday concert. Although TC is only in its fifth year in Grand Rapids, the tradition was initiated 37 years ago by the late Harvey Phillips. "I found my first Tuba Christmas by accident in 1985 when I lived in Baltimore; I saw it in a newspaper," Karen said. Upon moving to Grand Rapids, Karen kept a watchful eye for a venue and sponsor. 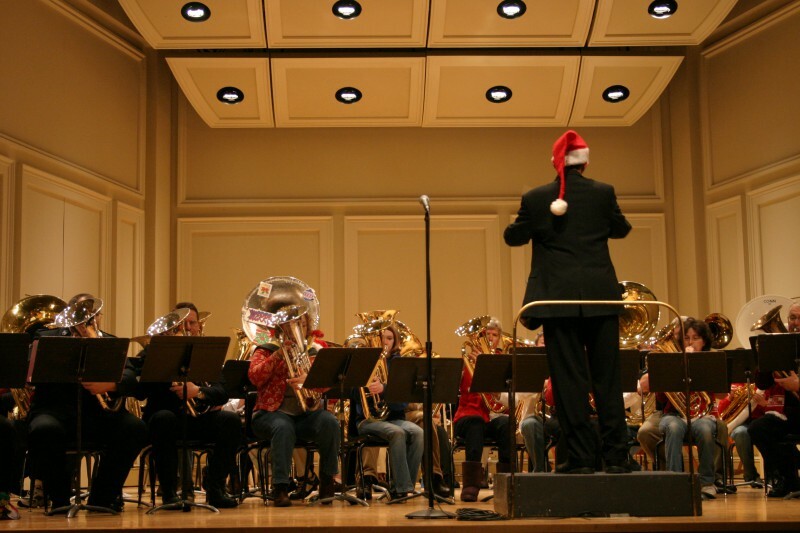 After scouring the local holiday calendars to see what she could tack TC onto, she approached Grand Rapids Community College's band director, who enthusiastically agreed to incorporate it into the college's holiday performances. Since its first year in 2006, TC has attracted an average of 40 musicians playing to a packed house at St. Cecilia's Royce Auditorium. "I'm one of these guys who quit high school band and restarted after a 30-plus year layoff," said Art Covert, a Battle Creek resident who travels to several different TCs each year and has gone as far as Purdue, Ind. "I'm primarily a French horn player, but I also have a trumpet, an alto horn, a euphonium and a tuba. I keep buying these horns hoping that someday I'll actually find one that I can play well." Art has been attending TCs for the last eight years, often times with his son, now in college. He plans to sit in the ensemble this Sunday and also attend TCs later this month in Battle Creek and Kalamazoo. The TC ensemble is diverse. 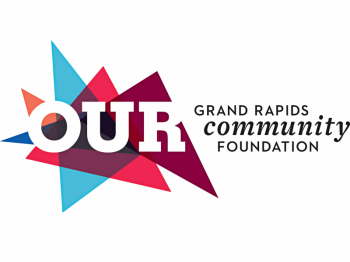 Participants come from all over West Michigan and range from pre-teens to octogenarians, dilettantes to professional musicians. Some have never played a low brass instrument but have transferrable skills from their familiarity with woodwinds or other brass instruments. "I see old friends like me who are 50, 60 years old who are old high school players," Art said. "But we also see the high school kids. I play with friends of my son who are still in town." Musicians who play the tuba, sousaphone, baritone horn or euphonium are invited to participate, and Karen is fierce about approved instruments. "This is an event to boost popularity and recognition for tubas, not trombones," Karen emphasized. A trombonist still manages to sneak in every year. "I always put that in because if they miss it, then everybody else can beat up on them." Karen's theory for the low brass section's obscurity is their placement in the back row of the orchestra. There is only one tuba per orchestra. When Karen breaks out her euphonium, people often mistake it for the more rotund French horn. The exception: "I think [people] know what a sousaphone is because they see it dotting the 'i' at the Ohio State games." Being affiliated with the Tuba Christmas World Headquarters, the Grand Rapids event uses arrangements from a compilation published by TCWH in the 1970s. "If you've played one Tuba Christmas, you can play any Tuba Christmas anywhere," Karen said. The public is invited to attend the free concert at 3 p.m. on Sunday at St. Cecilia's Music Center (24 Ransom NE). Musicians will rehearse at noon at GRCC's Music Center (Room 200, 142 Ransom), followed by a procession to Royce Auditorium. The TC concert is sandwiched between two free GRCC performances and lasts for an hour.